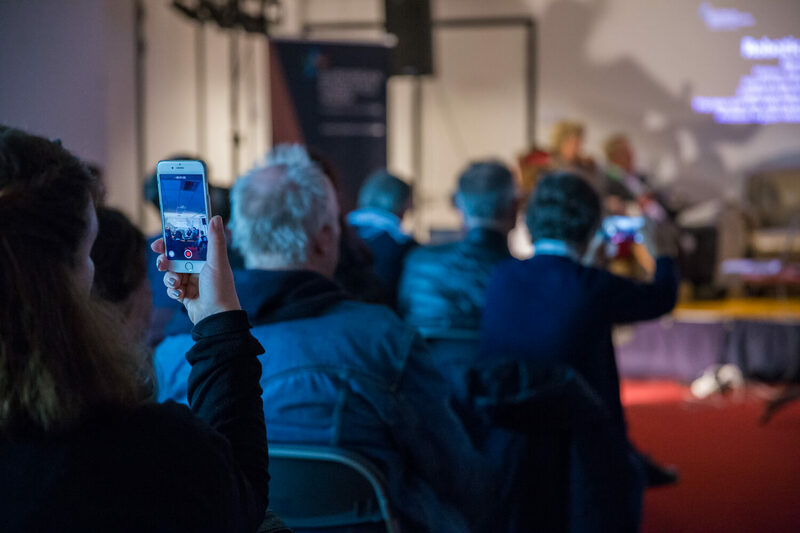 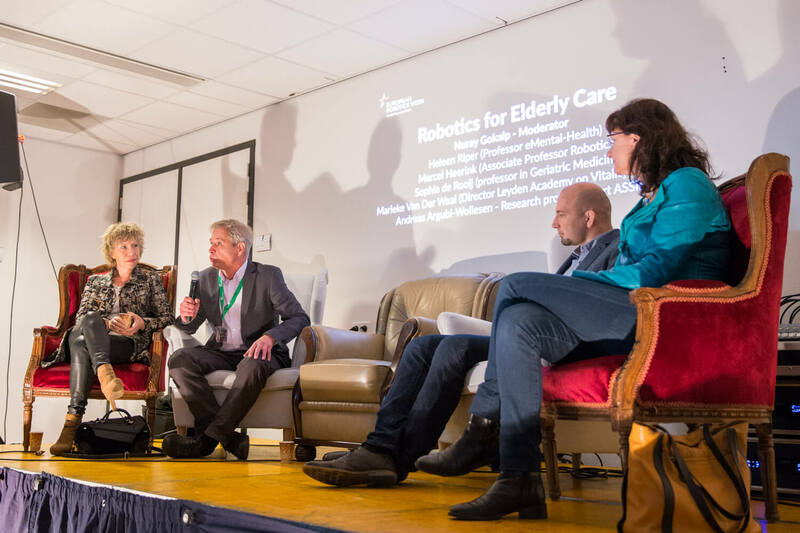 At the pinnacle event, panellists from Robotics for Elderly Care engaged with audience members in a lively discussion about topics ranging from how quickly technology is developing to how perceptions shape how users may interact with new technology. Knowledge exchange, especially with the end user, is crucial to develop better ideas and tech advancements in elderly care. There was also debate on how robotics could help care givers free up time (by doing dull or repetitive tasks) so they could focus on human relationships. 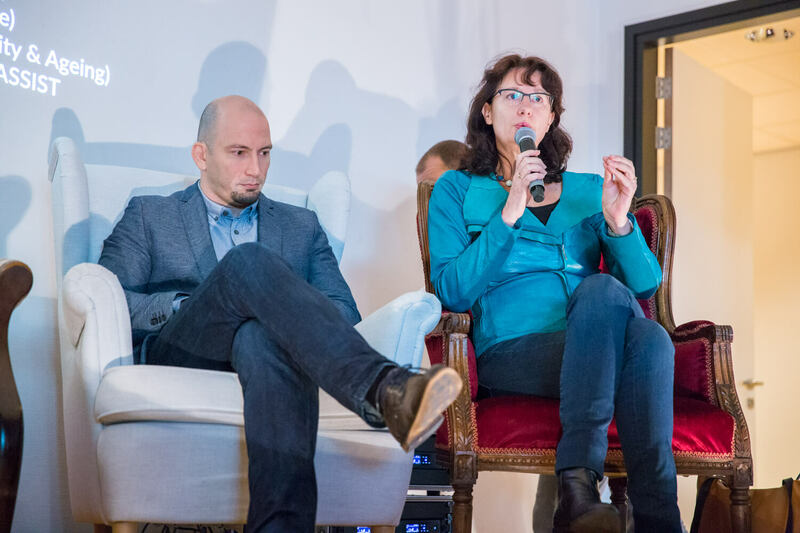 The panel included: Nuray Gokalp (as moderator), Information Technology Manager for City of Amsterdam; Heleen Riper, Professor of eMental-Health at the Department of Clinical Psychology VU University Amsterdam; Marcel Heerink, Associate professor at Windesheim and LaSalle University; Sophia de Rooij, Professor in Internal Medicine, specialized in Geriatric Medicine; Marieke Van Der Waal, Director of Leyden Academy on Vitality and Ageing; and Andreas Argubi-Wollesen, Research Assistance, SmartASSIST.